Established in 2005 by Jennifer L Ferri, Title Junction LLC was created to personalize each and every real estate title transaction, making clients feel welcome and secure in all of their decisions. Title Junction is a full service real estate title company positioning ourselves as an industry leader constantly striving to meet and exceed our customers’ needs and expectations with uncompromising ethics. Count on the resources and the expertise associated with a locally owned and operated real estate title company. Here at Title Junction our team will bring you a vast experience of knowledge and understanding in the real estate title insurance industry in Fort Myers, Cape Coral and throughout The State of Florida. We can respond quickly to your needs, with the flexibility to adopt creative approaches for unique circumstances. When it comes to your closing transactions, we are constantly working to make them run smoother and more efficiently. Whether you are our neighbors in Cape Coral or Fort Myers or anywhere in the state of Florida, we are able to accommodate closings on your real estate title transactions. If you have additional questions about our company, we would be happy to send an experienced real estate title professional to your office to introduce our services to you. Our team here at Title Junction looks forward to bringing your real estate title transaction to the next level of service and give you the real estate / closing relationship you deserve…. 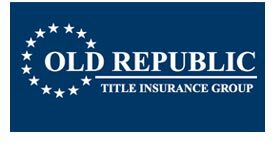 Whether you’ve chosen to sell a house on your own or are purchasing a Fort Myers or Cape Coral for sale by owner property, you need an experienced partner to handle the sale closing and provide title insurance. As a foreign real estate seller or foreign real estate investor, buying or selling a property in Florida can be fraught with confusion. Our number one concern is our clients. That’s why we’ve chosen to offer witness and courtesy closing services.